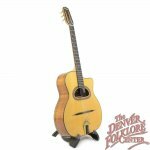 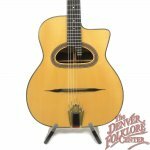 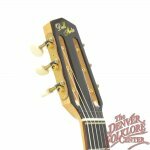 This used Dell Arte Gypsy Jazz Guitar is one of the most unique pieces we have seen in some time. 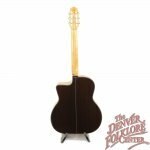 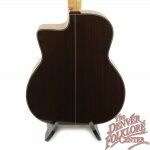 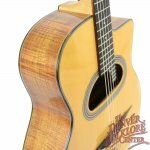 The spruce top is matched with beautiful Hawaiian Koa sides and an East Indian Rosewood back- thats right different woods are used on the sides as on the back. 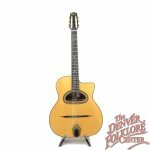 Tonally the large sound hole makes for one of the most spectacular voiced instruments in our store- a voice that surely stands out in a gypsy jazz setting. 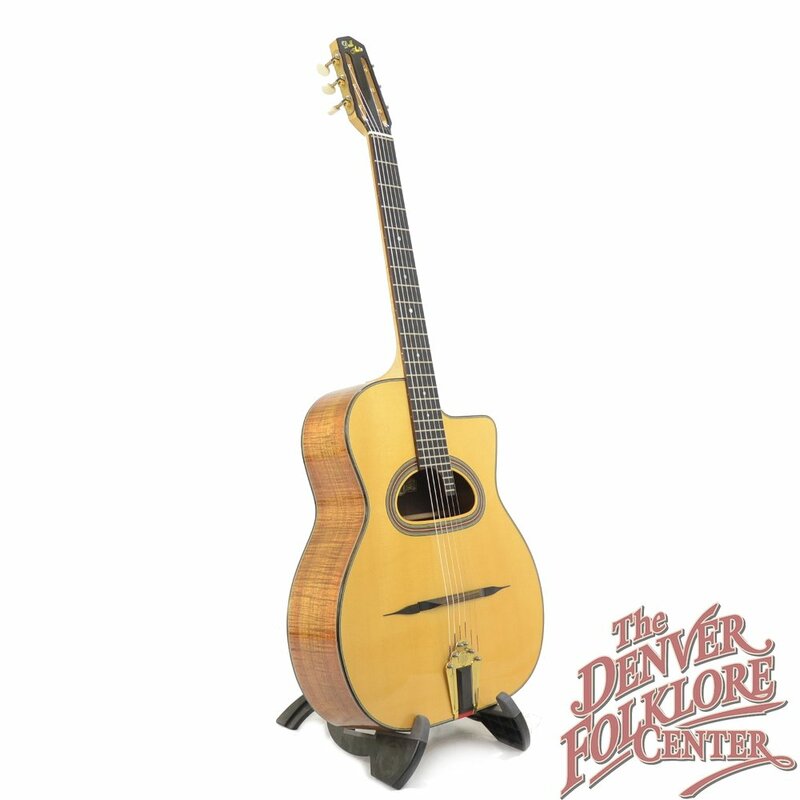 Condition-wise this piece has seen plenty of play and features a number of dents, dings, and finish blemishes, a repaired soundboard crack, and a replaced tailpiece. 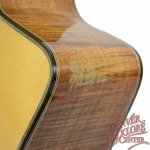 However, we have had our repair tech go over everything and can assure you that it is structurally sound and ready to play for years to come. 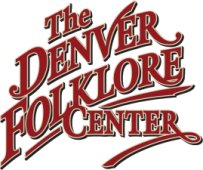 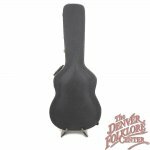 This instrument also comes with a dozen sets of gypsy jazz strings and the original hardshell case.